Hush now. Lock your doors and barricade your windows. We’ve managed to acquire some classified information on the happenings in Crackdown 3 from a totally anonymous source. 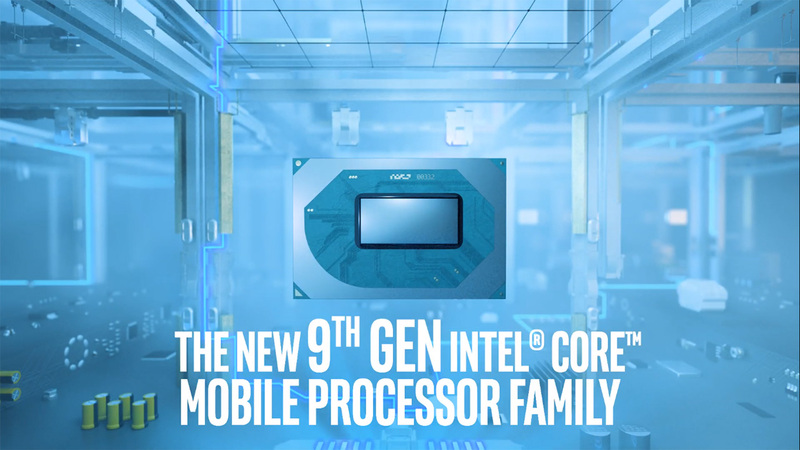 It’s pretty sensitive stuff, so we hope the Agency didn’t send a welcoming party. 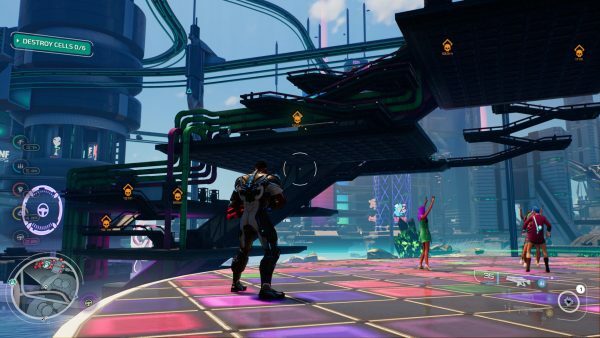 Developer Sumo Digital’s Crackdown series has had a rather “polka-dotted” history, if I may. 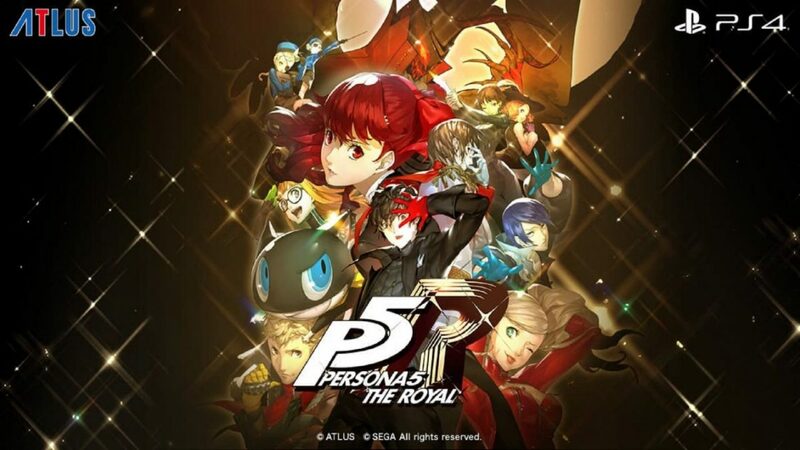 While many critics over the years have praised its non-linear, open world concepts and steadfast dedication to being a “feel good” series, it was also heavily criticized for lacking plot depth and being immensely repetitive. The original Crackdown released exclusively for the Xbox 360 in 2007 to mostly positive reviews, and Crackdown 2 followed soon after in 2010. 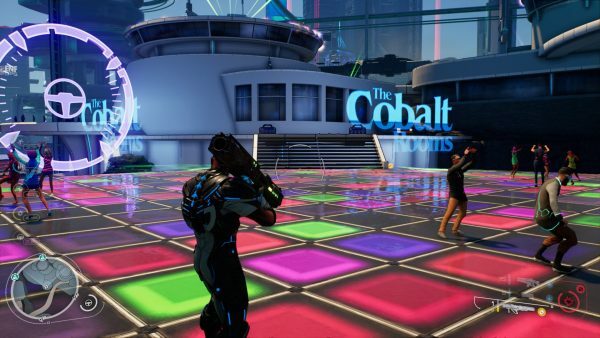 Compared to triple-A titles at the time like Skyrim or Red Dead Redemption, the Crackdown games might not have been the best the 360 had to offer, but their unique cocktail of “blow stuff up, ask questions later” did carve them a certain niche. After a series of delays over the past three years, here we are with the long-awaited Crackdown 3. Pardon me for not featuring Terry Crews here. In the wake of the mysterious Blackout attacks that left the world without power, millions of desperate refugees are forced to relocate to the only beacon of civilisation left standing: the city of New Providence. This shining utopia is a private state owned by Elizabeth Niemand, CEO of the mysterious Terra Nova organization, offering refuge and shelter to survivors. As you can see, this apartment has an excellent view of the weird crystal deposits nearby. After the source of the cyber attack is traced to New Providence, the Agency dispatches a group of genetically-engineered Agents led by Commander Issiah Jaxon (voiced by Terry Crews!) to check it out. However, their craft is shot down along the way and all but one of the Agents are killed. As the only survivor, you are saved by militia member Enakshi Swift, or “Echo” for short. She gives you a quick rundown of what’s going on behind the scenes, which leads to your new tasking by Agency director Charles Goodwin: take down New Providence’s government and uncover Niemand’s plans for the mysterious Chimera compound. 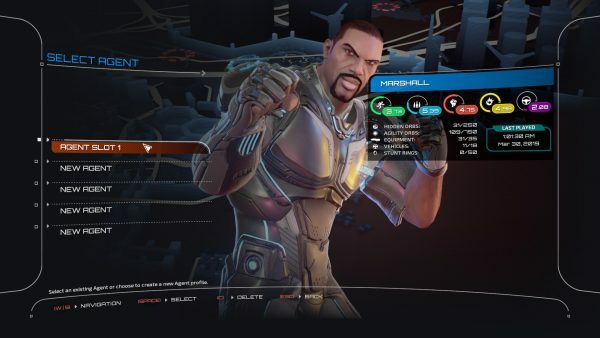 Conceptually, Crackdown 3 is pretty straightforward. Like the previous games, you’ll have to beat Niemand’s corporate cronies first in order to take her down, and that involves disrupting the industries that Terra Nova controls. For example, to take down security chief Kuli Ngata, Echo suggests releasing captured militia members and taking over security instalments all across the city. Doing this eventually earns you an “audience” with Ngata. Making life difficult for New Providence’s government is all in a day’s work. The same logic applies to the other sectors: make a ruckus, kill the henchmen, take down the boss. Keep working your way up the ladder until Niemand sees fit to take things into her own hands. Along the way, you’ll get to shoot, punch, slam, and even toss cars at enemies. Combat is easy to grasp and it wont’ take long before you tear through New Providence. 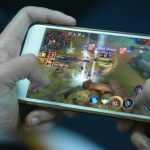 All’s fair in love and war, so pulverize anything with a red health bar. Status Report: What do I think? Frankly speaking, I found Crackdown 3‘s first impression really lackluster. For the first hour, things were pretty dull and I was smirking at this “wannabe sci-fi Grand Theft Auto“. In fact, there were so many underwhelming points that I was tempted to just drop it entirely. However, as I grew more familiar with the interface, story and such, the game felt slightly better. Speaking of which, Crackdown 3 does bear a lot of similarities to GTA: hijacking vehicles, killing random people, finding collectibles, and even driving challenges. That’s not a bad thing, seeing as GTA does the open-world concept pretty well. However, the gameplay ball only starts rolling as you progress further and things get more challenging. 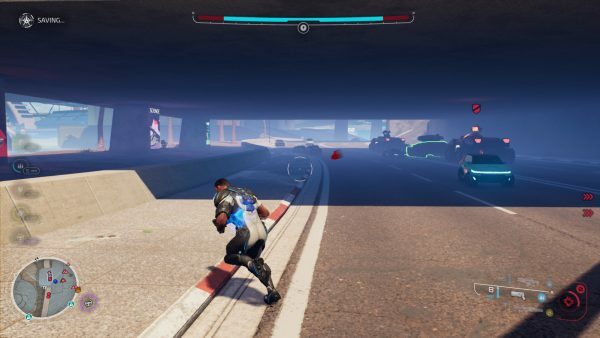 In the first few missions, holding the right-mouse button and left clicking solved everything, which made Crackdown 3 feel like a glorified flash game. This isn’t half as tangled as the highways though. You see, the thing about modern third-person shooters is that they usually don’t spoon-feed you all the way in terms of aiming. Yes, there’s a little bit of aim assist to guide you, but most of the time fights are dictated by players’ actual skill. 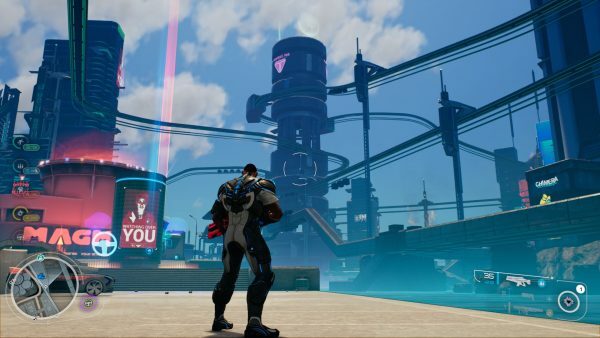 The problem is that in Crackdown 3, your Mouse 2 button is practically an aimbot; I feel it took away some of the satisfaction for me. It’s only when you have an entire army of drones and mechs chasing you that things actually get interesting. Why? Well, having an entire army collapse on you means you might not even have time to aim properly. No, don’t laugh. I’m serious. There were cases where I was too busy spamming the “Shift” button and dodging projectiles that I couldn’t afford to do so. So, in those cases, sometimes you just have to be close enough. By that I mean whip out a rocket launcher and hope for the best. 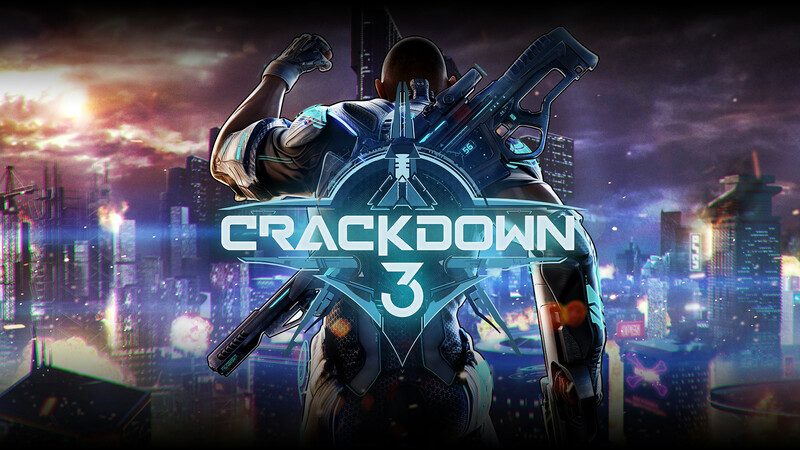 At first glance, you might think that Crackdown 3 would look much more impressive if it came out a few years ago. I fully understand. It was supposed to release in 2016, but the long delays have not been kind to the game’s graphics. The cutscenes are still decent when it comes to animation and facial expressions, but you’d certainly expect a lot more from a big exclusive. I mean, I wouldn’t be willing to fork out money for a protagonist looking like it was taken from The Sims. No offense intended, but I keep thinking that a shooter like Crackdown 3 deserves more lifelike animation and graphics, especially in this era. 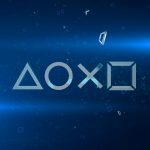 Let’s talk about Crackdown 3‘s audio too. Most of the background music and sound effects fit into the game’s sci-fi theme, so it isn’t a complete disaster. However, that’s just another way of saying that the audio is nearly as outdated as the concepts that the game is going for. Now I understand that firing lasers largely sound the same across the ages, but does shooting my plasma rifle really have to sound like a remastered Galaga? As for background music, what background music? There isn’t much to go on. Apart from the title screen and cutscenes (which don’t sound very inspired by 2019 standards), most of the time you’ll only be hearing explosions and firearms going off. It’s suffice to say that Crackdown 3 is sorely lacking in the audio department, and might have played a lot better with more modern themes. 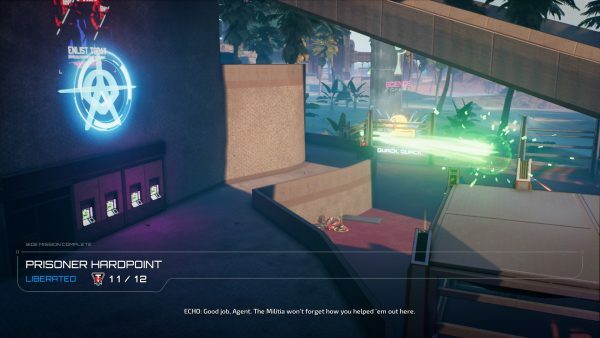 To be honest, Crackdown 3‘s multiplayer arena doesn’t fare too differently from the campaign. It’s basically a 5v5 “anything goes” Team Deathmatch most of the time. Granted, it is a bit more exciting in two ways. The first is that since you’re now duking it out against real people, there’s a tactical edge to fights that you don’t really need to account for in the campaign. It keeps the matches somewhat more unpredictable and fun, which leads us to the next point. As far as destructible environments go, I have to admit that Crackdown 3 is one of the games that offers a lot more freedom. In contrast to the campaign, anything and everything can be destroyed. Walls, roads, bridges… all of those can be shot at or blown up. Essentially, there is a measure of realism amidst the animated fighting that you don’t really see in other games; I mean, it’s much more believable than having an opponent survive a rocket launcher just by hiding behind a street lamp or something. Unfortunately, this is a feature that’s wholly restricted to the multiplayer aspect of Crackdown 3, which is a pity. Don’t mind me, folks. Just chilling with my rocket launcher. 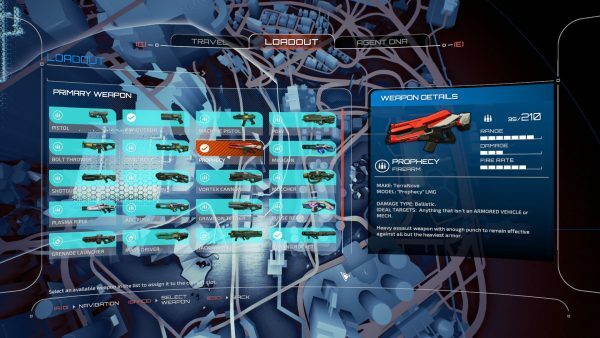 If I had to applaud Crackdown 3 for anything, it would have to be for the variety of weapons. You can’t hop into any mechs but you’ve got revolvers, railguns, portable jump pads, chemical grenades, and more. Simply access a Supply Point or pick them up from an enemy’s corpse, equipping whatever the situation calls for. I really like shooter games that let you pick up a fallen enemy’s weapon. I feel that it adds flexibility and versatility, rather than being confined to a pre-selected loadout. On that note, I will concede that some weapons do seem to be quite overpowered. Take the Conquerorm for instance. I know revolvers in general tend to be more powerful than your average pistol, but taking down a gunship in five shots? Seems a bit far-fetched to me. That said, it is extremely satisfying though. 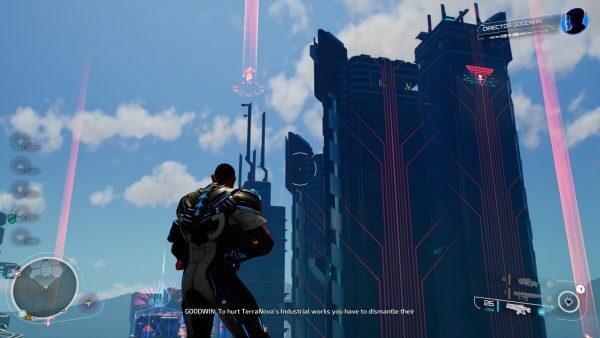 Provided you make it through the dreary portion at the start, Crackdown 3 does check the one box that the series is known for: letting you be a one-man army and feeling good about it. Apart from the immense repetition, there’s just something really gratifying about putting corporate criminals in their place. I’m confused. Is this supposed to be a factory or a theme park? 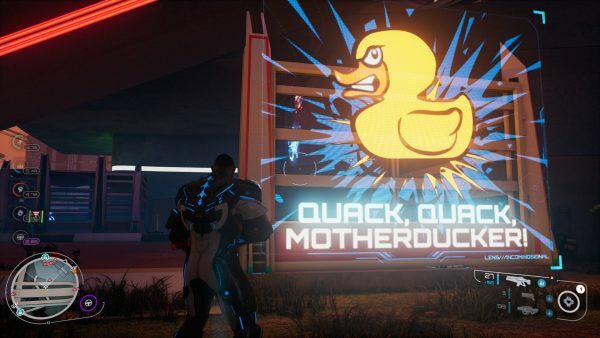 Additionally, Crackdown 3‘s over-the-top combat does make for some really entertaining situations. I recall this one instance where I ran over an enemy with a sports car, got out, and then proceeded to throw the car at his colleague. 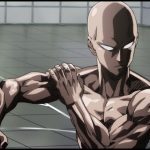 Exaggerated fights are one thing, but being able to make players feel empowered while doing so? That’s a whole different ball game, one that I’d say Crackdown 3 plays reasonably well. 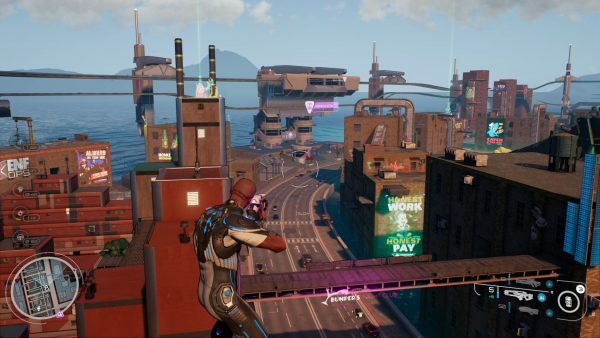 Although Crackdown 3 does have some good bits, it has some really distinct flaws too. And when I say distinct, I’m talking “impossible to miss”. For the most part, there are three main problems. I think it’s fine to have one or two cliches within any story. 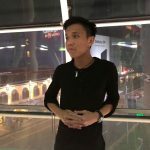 Stuff tends to get confusing when there are too many plot twists and story elements; but when even the dialogue is overloaded with cliches, that’s when you know there’s a problem. A great example would be Director Goodwin’s lines. When he does chip in, there’s always a “We’re counting on you, Agent” or “No threat is too big for my Agent” statement. I shrugged it off with a laugh the first few times, but he says that so often that his statements eventually became cringe-worthy. To make matters worse, even the bosses were in on it. They’ve got the whole “You’ll never defeat me!” dialogue, which quickly transitions into “No! How could I have been defeated?” the moment you land that final shot. For the record, it might have been cool if it was 2016, but here in 2019 it’s just really bland and one-dimensional. The overuse is even more obvious when it comes to the plot. Within 30 minutes, you already have the typical “Lone Survivor” and “Tyrannical Corporation” kind of stuff, which makes you question the identity of the game. Come on, Sumo Digital: I can understand using those as basic foundations, but not having the entire game ride wholesale on them. Surely you can afford to come up with something a little more original? The other thing I really didn’t like was the game’s map design. Navigating individual streets were fine, but when it came to the highways, running and jumping often felt faster than driving. 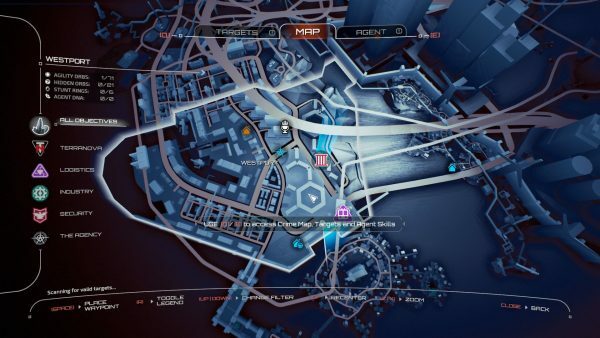 The map is pretty convoluted to begin with, but the highways have various layers that you can only reach by going one big round around the entire city. Even then, it was really confusing and I spent easily 10-15 minutes just trying to get to some bosses. Even in this picture here you can easily spot several tangled roads, and this is just one district, mind you. At this point, describing it as tedious probably doesn’t cut it anymore. Let’s face it. While shooting enemies and blowing stuff up does have a certain charm, it also gets boring really quickly. This issue toes the same line as Crackdown 3‘s graphics, actually — they might have been impressive several years ago. After the initial thrill of kicking Niemand’s peons off the board, you start to realise you’re pretty much rinsing and repeating with each industry. That’s assuming the feeling doesn’t set in sooner, which it might. Okay, so what about the periods when you’re NOT destroying half of New Providence? Unfortunately, Terra Nova isn’t going to leave you alone for a second. Even when you’re just walking along the road, security agents might sometimes pull up and start shooting, which means you have two options: One, kill them and risk more operatives coming after you; or two, run away and they’ll chase you to kingdom come anyway. Talk about being caught between a rock and a hard place. Alright, alright. I’m sorry for jaywalking, okay? Point being that it’s hard to find peaceful moments to take in the scenery unless you’re in some remote area. The feeling of repetition during missions is already bad enough, so having to run and fight outside of missions as well doesn’t make it any better! 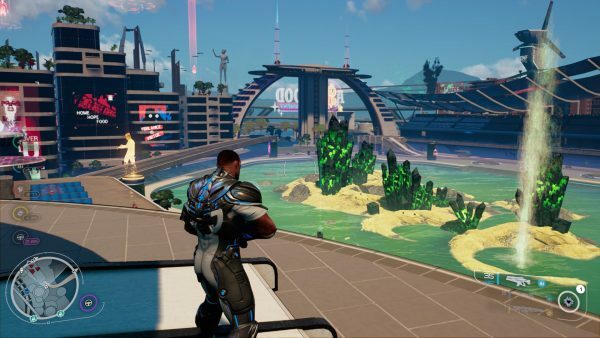 With all that’s been said, Crackdown 3 appears to be a 2016 game that’s gone way out of date. Blowing stuff up and feeling good about it has kind of become a selling point for the series, but duct-taping the concept with Terry Crews’ enthusiasm alone is hardly enough to keep it afloat in 2019. Sure, you might play it after a tough day to get your mind off things, since its somewhat arcade-ish, GTA-esque vibe does make it suited for messing around. On that note, don’t expect a well-thought-out plot, an organized sandbox, or super-innovative gameplay. While it does have good points, Crackdown 3 is flawed in those departments and sports somewhat-outdated concepts nearly everywhere else. So, if straight-up explosions and firefights aren’t your cup of tea, you might want to look somewhere else. 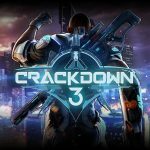 Crackdown 3 is out now for PC (Win 10) and Xbox One. Available through Xbox Game Pass as of publication. 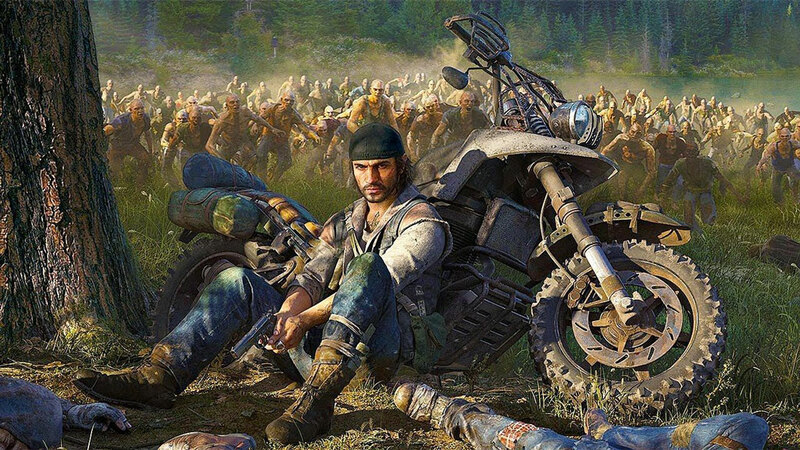 Developed by Sumo Digital. Published by Xbox Game Studios.